Coming of age in Ohio, James Baughman developed a passion for the Cleveland Indians and presidential campaigns. The youngster’s hobbies offered a good window into the American experience. For over fifty years Baughman “collected in the moment,” attending campaign rallies, trading materials among other collectors, and occasionally purchasing special items to improve his personal collection of political campaign ephemera. He continued amassing the collection while a student at Harvard and Columbia, and after he joined the UW-Madison in 1979. 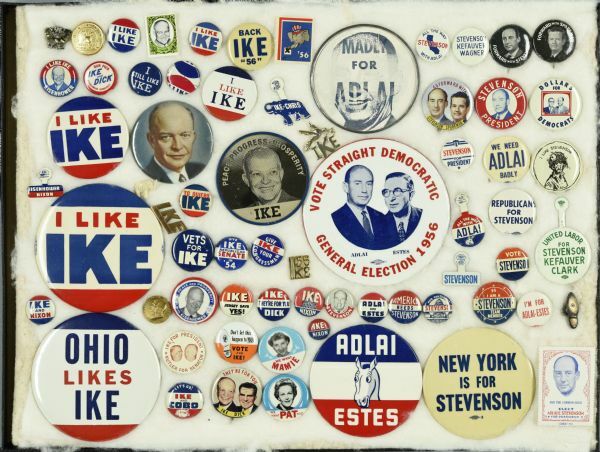 Every four years the collection swelled, as the talented historian and journalism professor acquired additional materials: buttons, ribbons, posters that captured the democratic experiment. Baughman gradually assembled an exceptional collection, documenting every presidential campaign from 1896 (William McKinley vs. William Jennings Bryan) to 2012 (Barack Obama vs. Mitt Romney). A gifted and beloved teacher, Baughman found joy in the storytelling opportunities afforded by his personal collection. Graduate students attending backyard cookouts marveled at Baughman’s encyclopedic grasp of long-forgotten party planks and vice-presidential candidates. A favorite item – always worthy of a good story – was a rare political poster promoting the virtues of the insurgent Bull Moose Party of 1912. Society archivists have also been documenting the extraordinary 2016 presidential campaign season. 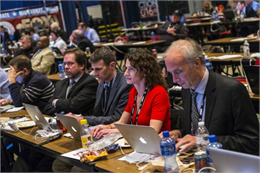 Andy Kraushaar, Curator of Visual Materials, and David Erickson, archives project assistant, photographed Democratic and Republican rallies in Janesville, Madison, Milwaukee, Green Bay and West Bend. Arriving early and staying late, the two photo archivists captured varied events and protests outside the convention halls, once again collecting in the moment. 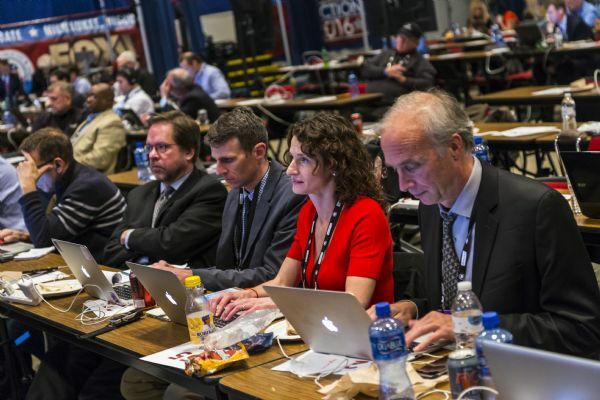 The Society also hired freelance editorial photographer, Andy Manis, to document the Democratic and Republican presidential primary debates in Milwaukee. The resulting photographic portfolios offer rich stories for future storytelling. 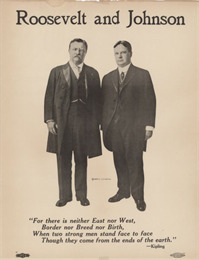 Many of the 2016 images are featured in the new image gallery at wisconsinhistory.org, alongside Jim Baughman’s ephemera and other historic images. support our interest in chronicling the here and now."